Polytrol is a deep penetrating oil which restores the original color and appearance of dull or tarnished plastics, gelcoats, metals and more! It penetrates deep into the surface and re-wets the pigments to restore their lustre and *color which has been lost through exposure to sunlight, rain and pollution. When used on tarnished metals, it brings back the shine and gives long-term protection against corrosion. One of our customers had a 4 year old Thule car topper that had faded due to exposure from the beautiful Key West weather. They spoke with Thule directly and were told to take it to a car retailer to see if there’s anything they can do there. Obviously this isn’t quite the answer they were looking for! 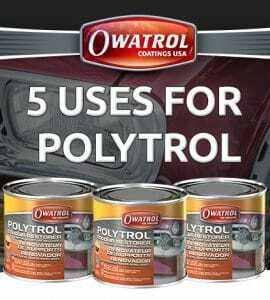 So after a little internet search they found Owatrol Polytrol. As you can see, Polytrol has revived and transformed the car topper to look as good as new! Your front door is the first thing people will see when you have visitors and a faded door can make your house appear aged and weather beaten. 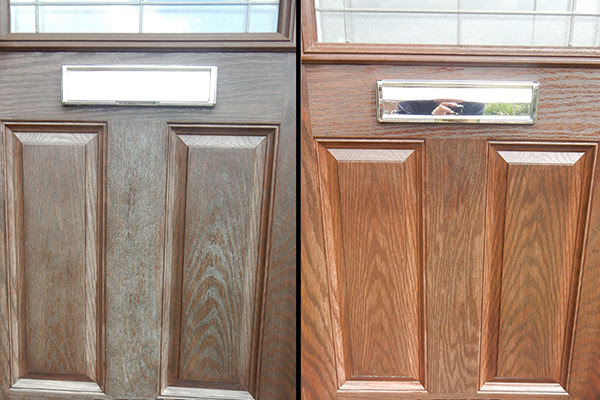 We had a customer who wanted to bring back the bright shine their door once had and to be able to see the beautiful wood effect grain again. As you can see, the customer certainly got what they wanted! It now looks shiny and new and the customer didn’t have to pay out for an expensive new door! 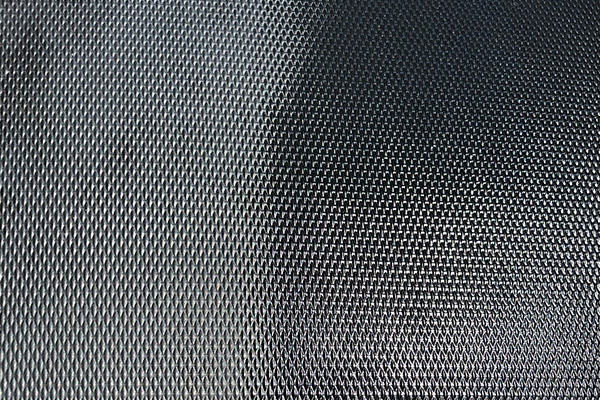 We have had many customers over the years who want to bring back the black on their car bumpers and trims. Sadly, this is a very common problem as cars are obviously exposed to a lot of damaging UV rays, bad weather and pollution. Luckily, there is a quick and easy solution to this problem. As you can see, the bumper looks as new as the day it was installed! 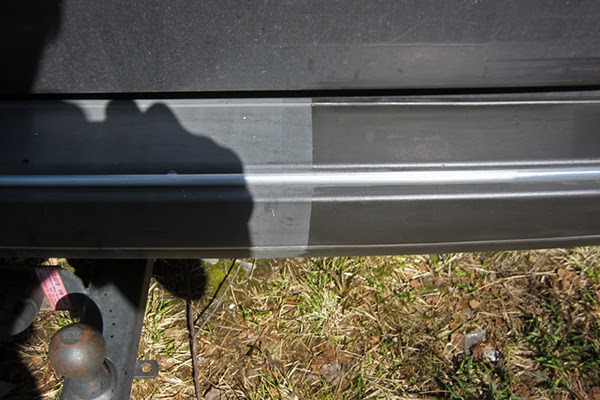 This customer also sent us a picture 5 months later of the bumpers still looking like new! Another customer had a very sad looking garage door that was missing the beautiful red lustre it once had. They really didn’t want to have to buy a new door, especially as it worked perfectly! 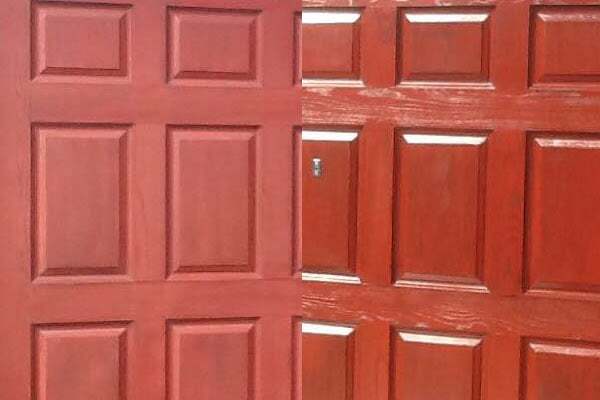 They decided to give Polytrol a go to see what it could do for them and as you can see, the door looks bright and vibrant again with a beautiful shine. This 19 year old sports court was in dire need of reviving. The court had been badly bleached by UV rays and damaged by dirt and pollution. When the customer asked for a quote from a flooring specialist to restore it, they quoted $6000, so as you can imagine they decided to look for other options! 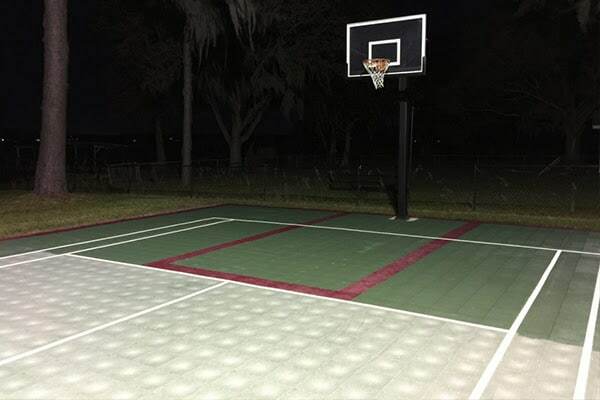 The difference Polytrol has made to this court is simply amazing. You wouldn’t know it was 19 years old – it looks good as new! So there you have it! As you can see, Polytrol can be used on a wide variety of surfaces for a whole range of projects. Are you feeling inspired? Try Polytrol today! *Do not use Polytrol on white surfaces. Polytrol is designed to restore colour pigments, so using on white will not work.